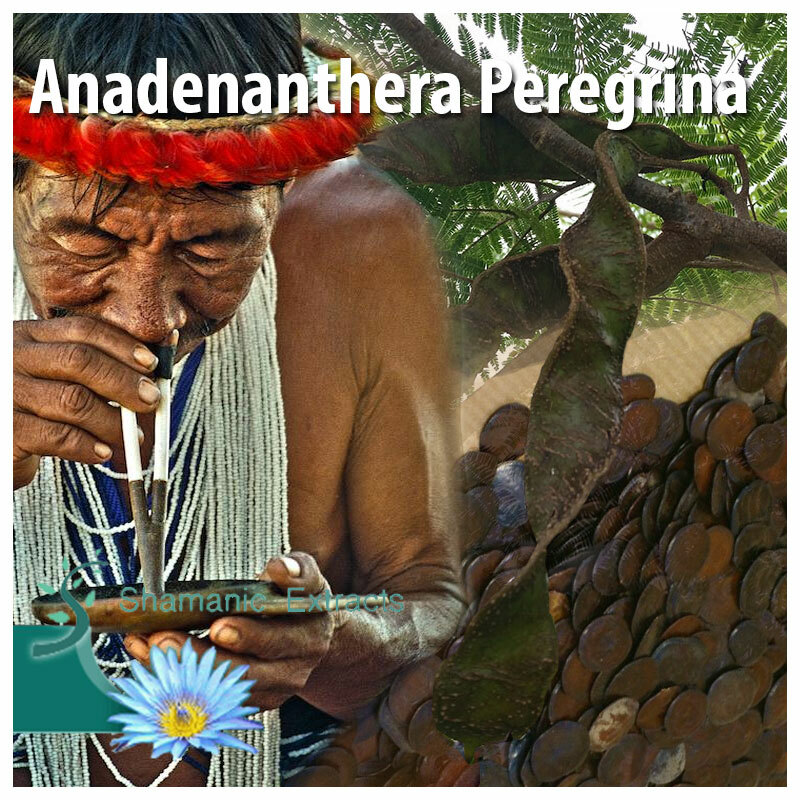 We are proud the sell the original Anadenanthera Peregrina YOPO seeds! Most Anandenanthera peregrina on the market is in fact Anadenanthera colubrina. The main cause of confusion arises from the fact that it is commonly believed that Anandenanthera colubrina does not grow in Brazil and that only A.peregrina grows there. Another entheogenic legume with a long and fascinating history of use throughout South America and the Carribean. As with A. colubrina there is ample archaeological evidence of its prehistoric use in the preparation of entheogenic snuffs. During an exploration of the Carribean, Columbus noted a first-hand account of Taino indians using a mysterious powder later identified by a colleague as Cohoba. Numerous tribes of South America have also been documented to prepare a powerful snuff from the seeds known as Yopo. This species is virtually identical to Anadenanthera colubrina in all aspects including foliage, seeds and habit. The only way to tell them apart appears to be the texture of the bark of mature trees and the fact that A.peregrina is frost sensitive. A.colubrina bark is smooth and dark while A.peregrina bark is rough and brown/greyish with warts and lumps. Native to Brazil, Colombia and Venezuela, it prefers tropical climates and is frost tender. Propagation is by seed using the same method as colubrina. Plants containing entheogenic tryptamines are known around the world and are represented in nearly every Family. These plants commonly have an abundance of folk and medicinal history associated with their use. One well-known genus is Anadenanthera. Its use in snuff preparations through out the Caribbean Islands and South America is well substantiated. It is high in methylated tryptamines and has a long, documented history of use. Until recently there have been many overlooked aspects of this genus and those with similar chemistry. Their influence on art and culture and the uncanny resemblance in chemistry between that of plant and mammal must be explored. The use of Anadenanthera derived snuff contributes to the construction of belief systems. The seeds are considered a door, which allows access to a space where learning can occur. The seeds are a door where a being is found which enters into them by snuffing and acts as an intermediary between two worlds. Plants need full sunlight and prefer well-drained soil. Let the soil dry completely between watering. A. colubrina can handle some short term freezing conditions, but A. perigrina does not tolerate frosts. Black beans from Anadenanthera colubrina trees were toasted, pulverized and mixed with ashes or calcined shells to make psychedelic snuff called yopo by Indians in Orinoco basin in Colombia, Venezuela and possibly in southern part of the Brazilian Amazon. Very few people know about Yopo in "modern" cultures, but they were and are very popular with the indigenous South Americans and Mexicans. It is estimated as much as 20% of the Maya were regular Yopo users. They are commonly called Cebil by the locals where the plants grow. Yopo was and is blown into the nostrils through bamboo tubes or snuffed by birdbone tubes. Share your experience about Anadenanthera Peregrina (Yopo) seeds with other customers. Submit your tips or thought on this product, be detailed and specific.